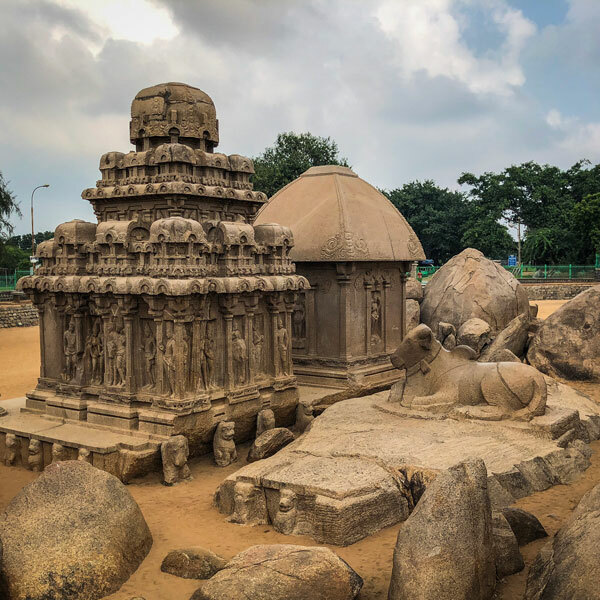 Panch Ratha at Mahabalipuram - A connection to Mahabharatha? 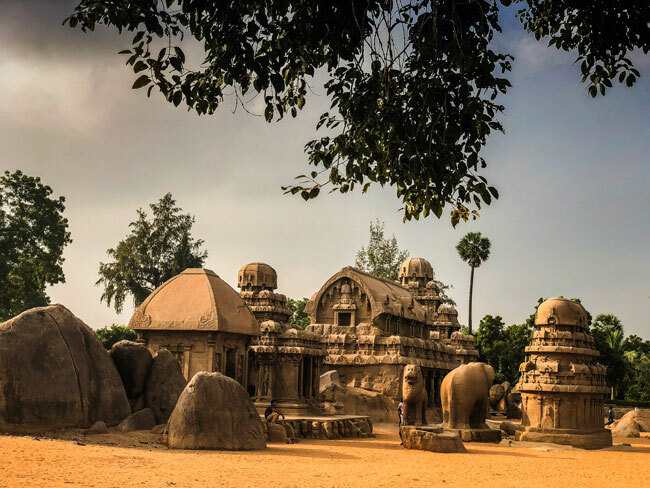 Carved out from a monolith (single stone), the Panch Rathas at Mahabalipuram are some of finest examples of stone carved temples. 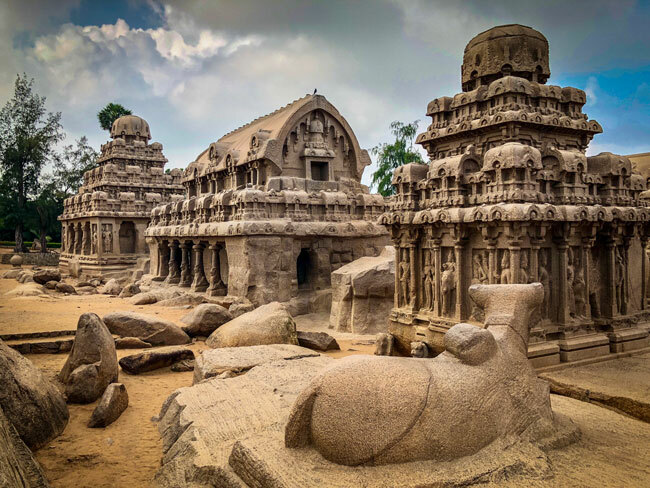 Built in the 7th century AD during the reign of Pallava king Narsimhavarman I, they are today a UNESCO world heritage Site as part of Mahabalipuram collection of temples. 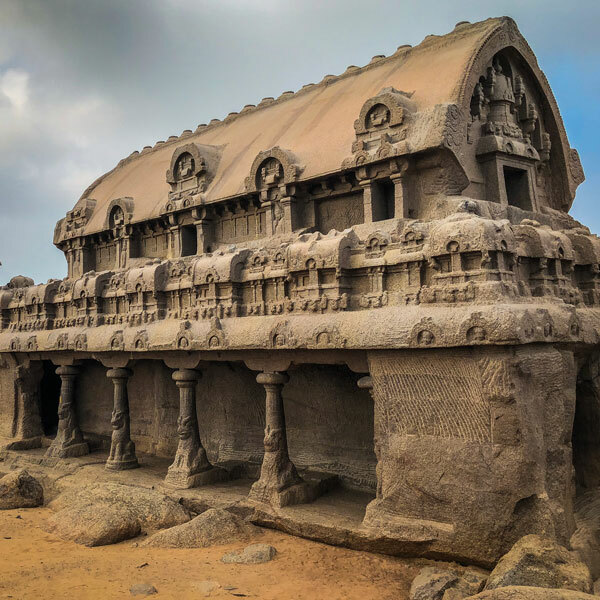 What’s the connection to Mahabharata? Well actually there is no known connection between the two, and these aren’t actually even Rathas. But somehow they are associated, without any historical basis, to the Pandavas. They are called Rathas just because their form resembles chariot shapes. The first ratha is called Draupadi ratha, the wife of all five Pandavas. It’s one of the most subtle and delicate looking temple with a unique roof. It’s a legacy of the thatched roofs which were common then, taken as an inspiration here. The next ratha is Arjun ratha, and is an exact replica of the last and the largest temple of the five. It shares the platform with Draupadi ratha. An huge but incomplete Nandi is right behind the temple. The next one is Bhima ratha and is the longest of them all. 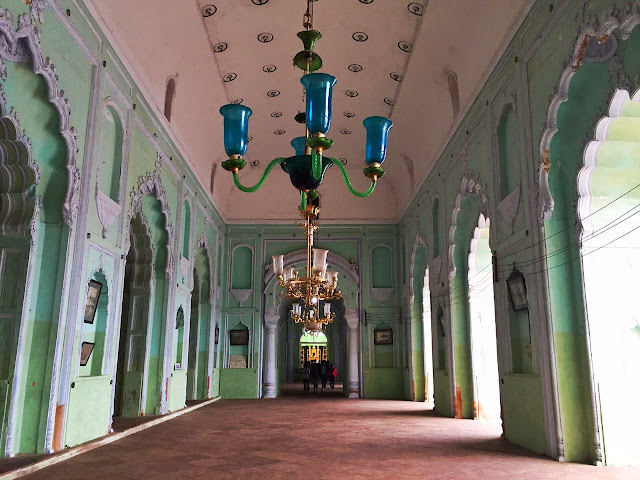 The roof is similar to Draupadi ratha, though it’s much longer. The final ratha in the line is Dharmaraja ratha. It has some of the most beautiful and intricate carvings. 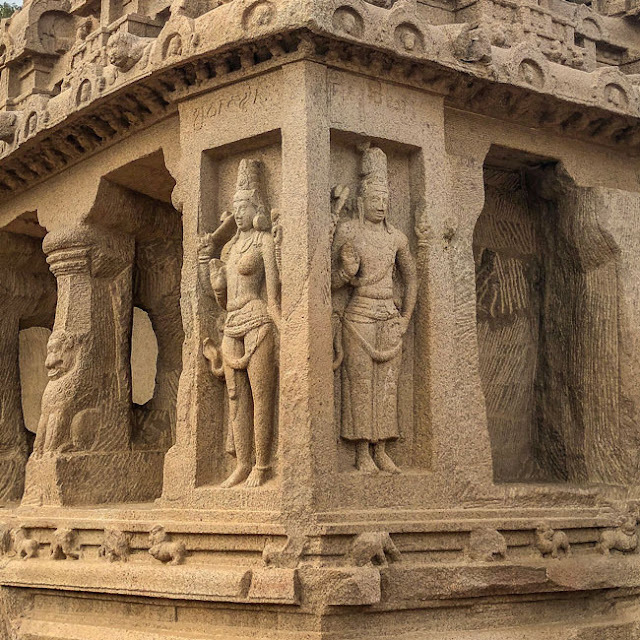 The upper levels are far more complete than the lower portion due to the direction of carving. 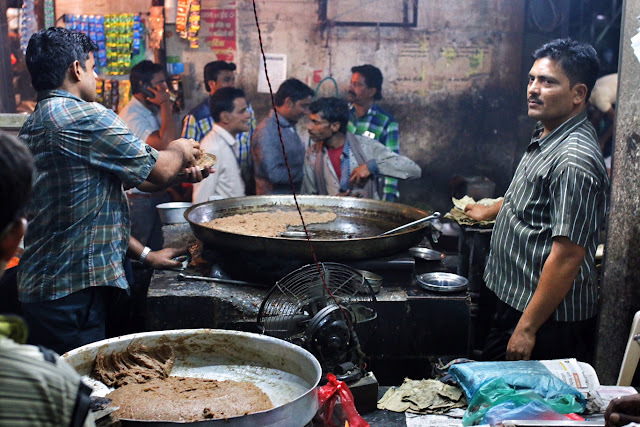 The last ratha is the Nakul-Sahdev ratha, and is not in the same line as others. While I was exploring the site, I bumped into a couple of friends studying art in Bangalore. One of them was a painter and the other one was a sculptor. Imagine meeting a sculptor at one of man's most beautiful creations out of stone! Here's a quick selfie we managed before we parted ways. Do you know there are two more just beyond the light house ? they are called Pidari ratha and remain incomplete..
Love the carvings here. Nice frames. Just loved the post. Brilliant photography. 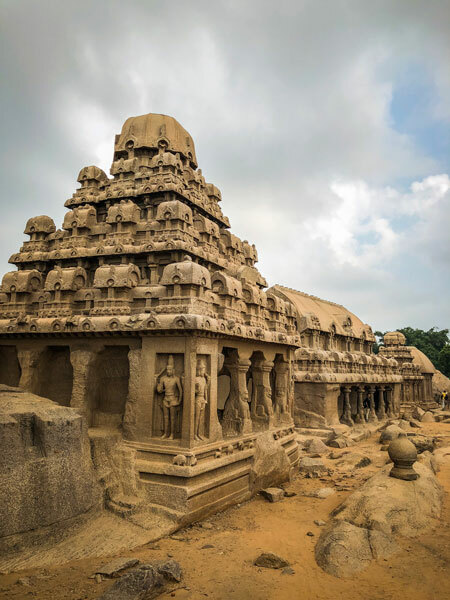 These ancient monuments in Mahabalipuram are among the highlights of my trip to Tamil Nadu more than two years ago. Architecturally, I like Draupadi Ratha the most because of its elegant simplicity. Although the rest of the compound is by all means impressive, for sure. This is something that must really visit one day. Nice, Nice, Nice.... thank you for sharing. Wow!! awesome Blog and the best thing is I have found some relevant news from your blog. The collection of amazing pictures is a total add-on. Thanks For it. keep up the good work. Great blog and the pictures are stunning. Really loved reading it. Thanks for sharing this. What a stunning temple! So impressive that it was carved out of a single stone. Thanks for the info about the cost to reach it by bus. Your photos are stunning! I especially loved the carvings on the roofs! What lovely temples! India has always fascinated me with its temples and legends and this is definitely one of those temples that I’d like to visit one day. So cool to know that the thatched roofs that we sometimes see today have been inspired here. Love your photos, btw! 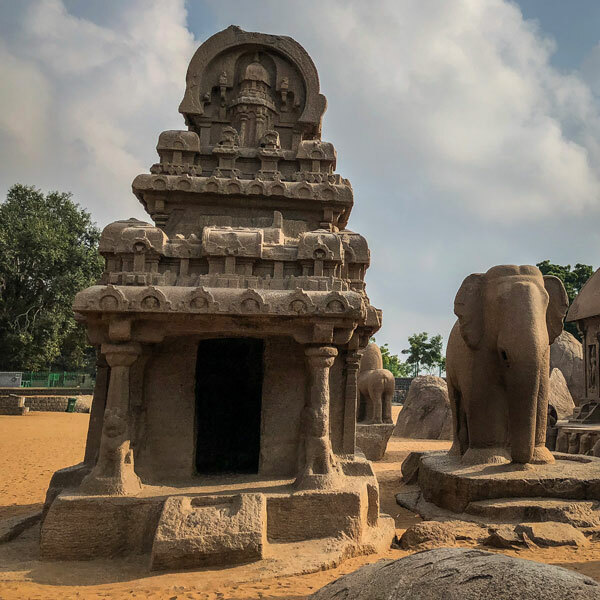 We saw Panch Rathas during our trip to Mahabalipuram and was completely amazed to see the carvings and intricate designs on it. They are really beautiful. Thanks for explaining the connection between Panch Rathas and Mahabharata. I remember following your journey on Instagram. The place looks so incredible. I wonder how advance our architecture was in the earlier days. Imagine whole raths and temples being carved out from monoliths. And, since 7th AD they are still intact. Marvellous! In fact, I believe these are just protypes for some other monuments. I have been here thrice at least and every time I find something new here. They are just so well done. There are so many tiny details to each of these. It's just incredible beauty, you can not even believe that it was created by people without the help of modern technology and knowledge in antiquity. thanking you for giving me this information .your pictures are really stunning. If you want to ask a question about Mandawakothi Hotel Rajasthan. I recommend The Kothi is an intimate heritage property, converted from an old haveli to become a modern boutique hotel.mandawakothi .Rajasthan visitors can stay with happy time and Heart relaxes. This is a great blog. I am pretty much impressed with your good work. You put really very helpful information, Keep it going. Thanks for sharing this article. It was informative. Even the SEO of your website is pretty strong. Keep up the good work. This place was built a long time ago. Wow nice and amazing blog post. It's very informative. Thanks Siddhartha for sharing this valuable post. 7 days tour rajasthan solve your problem.